Photography of New York City’s first interactive ‘living hotel’ featuring ambient intelligence. Rocketroom was thrilled to photograph New York City’s first interactive ‘living hotel’! 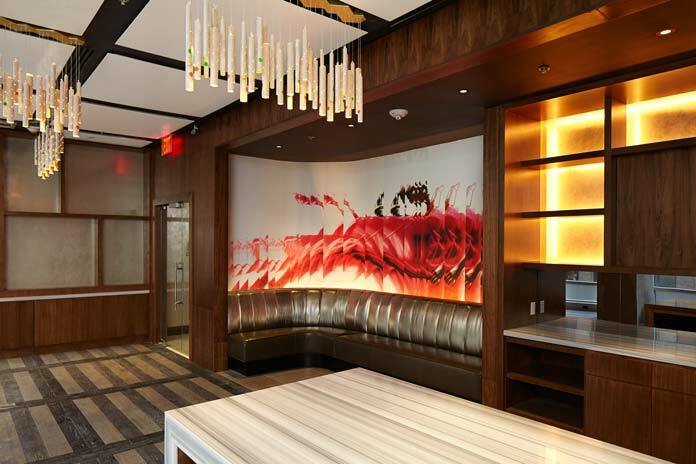 The Renaissance New York Midtown Hotel reflects the creative energy of the fashion district neighborhood, while still conveying a warm & relaxing feel to the guest rooms. The hotel is filled with creativity. 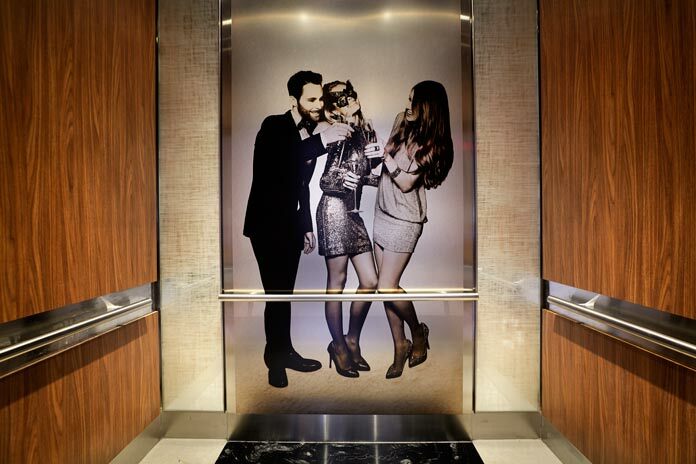 Even the elevators feature local artists’ works; which are digitally displayed and ever-changing. The corridors; designed by Montréal based Realisations; feature responsive digital artwork, which changes upon human movement. This interactive design is referred to as ‘ambient intelligence’, so very cool! 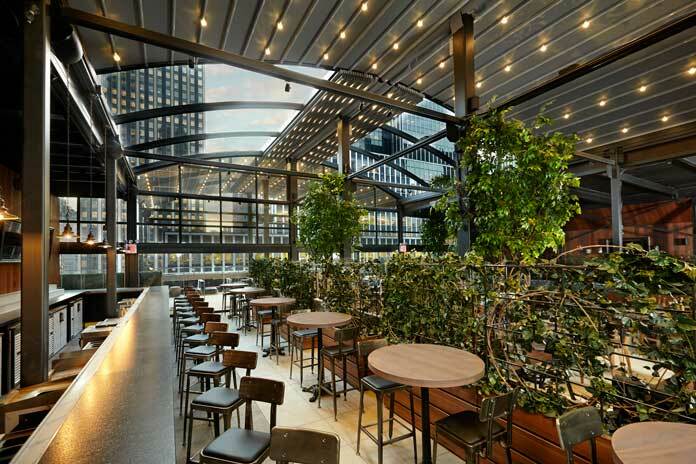 One of the neatest features is the 8,000 square foot deck, that has a retractable roof. What a great way to enjoy the incredible city views below. 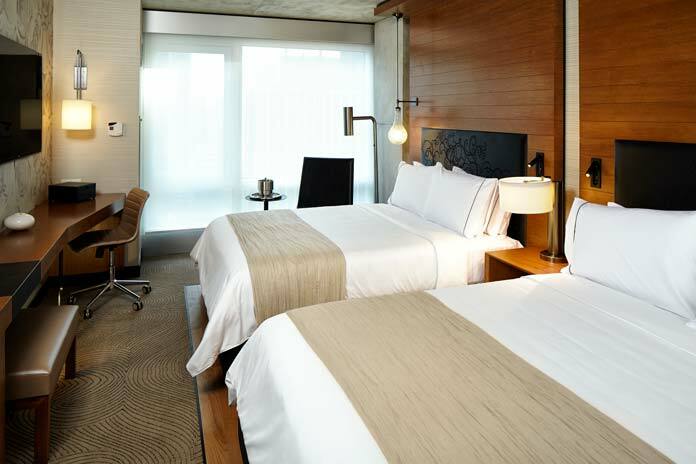 The responsive ‘ambient intelligence’ ensures a super-fun & unique experience, while the beautiful guest rooms evoke a zen-like relaxing haven.